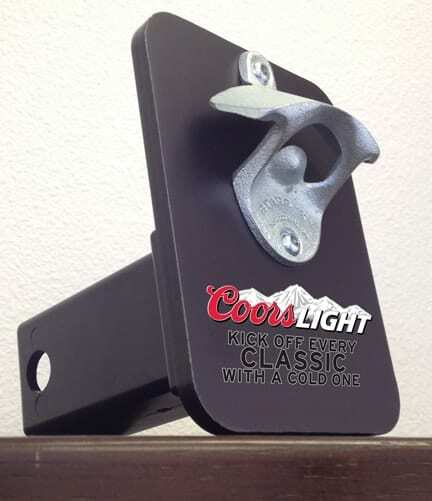 Trailer hitch bottle opener’s are a perfect way to enjoy your tailgate party. Plug this into any standard size trailer hitch and enjoy the freedom of not carrying around a bottle opener. The hitch can be customized with your company logo and tagline.